In Hong Kong, Macau and China, Cru Media Ltd. was appointed as the operating partner of Whisky Ambassador programme, to conduct all the courses and enrolment. We are the publisher of Cru Magazine, specialized in wine and spirits for both consumers as well as food and wine professionals. We also have close partnership with Whisky Magazine Hong Kong & Macau Chinese Edition, as well as Whisky Live HK. To gather all whisky lovers in Hong Kong and we will organize different activities on Whisky (e.g. tasting, master class, workshops – held by experienced specialists and experts). This would be a great way to promote whiskies and share the whisky’s news around Hong Kong. This qualification provides an introduction to the one wishing to gain basic whisky knowledge. It can be seen as a quick way to cover the basics but crucial skills to whisky appreciation. Technical knowledge and skills to approach, to taste and to evaluate whisky will be introduced. You will then understand why whisky is unique, where it came from, and why there is a bottle of Whisky in nearly every bar in the world! Leigh McGrotty is a renowned Whisky Educator from Scotland and official Trainer of The Whisky Ambassador Programme. A Whisky professional with an interesting background in global Whisky branding, Leigh has worked with some of Scotland’s most iconic Whisky Brands and has an incorrigible passion for the stories behind the brands. As a Whisky Consultant Leigh today champions the word of Scotland’s smaller, emerging distilleries in Asia and encourages the legacy of some of Scotland’s oldest Whiskies. An active ‘Lady Who Whiskies’ in Hong Kong, Leigh’s personal mantra is to promote Whisky for everyone! Leigh hosts regular tastings and corporate events as well as being a founder member of Whisky Vogue. Dea Macleod is a certified Whisky Ambassador from Scotland who introduced The Whisky Ambassador Programme here in Hong Kong. With a background in Scottish hospitality Dea is a passionate Foodie & Whisky Ambassador, who regularly provides menu and consultancy services to Whisky Bars in Asia. Her dedication is to Whisky and food pairing and regularly connects with Scottish F&B companies on emerging trends both in Scotland and in Asia. An enthusiast of all Scottish Malt Whiskies, Dea is also an adventurist in other World Whiskies and a spirited contributor to The Whisky Ambassador programme in Malaysia, Singapore and Hong Kong. Eddie Nara is a Certified Trainer of the Whisky Ambassador program, a Certified Specialist of Spirits accredited by the Society of Wine Educators, and an international Spirit Judge. He is an independent whisk(e)y educator and consultant, conducting masterclasses on behalf of the whisk(e)y trade and hosts tastings for corporate clients, and write spirits column in various magazine. Eddie was the Founding Chairman of HK’s first whisk(e)y appreciation society. The aim of the course is to show how to identify and satisfy customer needs and to provide a useful insight into the career progression to becoming a whisky ambassador. The assessment lasts for 45 minutes and consists of a 30 question multiple choice exam and a practical assessment consisting of four whiskies to be identified using nosing and/or tasting. In order to pass the exam, candidates must correctly answer 21 out of 30 questions and correctly identify at least 2 of the 4 whiskies. Candidates must be over the legal minimum age for the retail purchase of alcoholic beverages in the country where the examination is being held. Provides a more comprehensive coverage of the wide range of whiskies around the world. The qualification has an increased focus on whisky tasting technique. Venues that show an extraordinary passion for Whisky and who are proud to ensure outstanding customer service can now apply to become accredited venues by having certified Whisky Ambassadors. 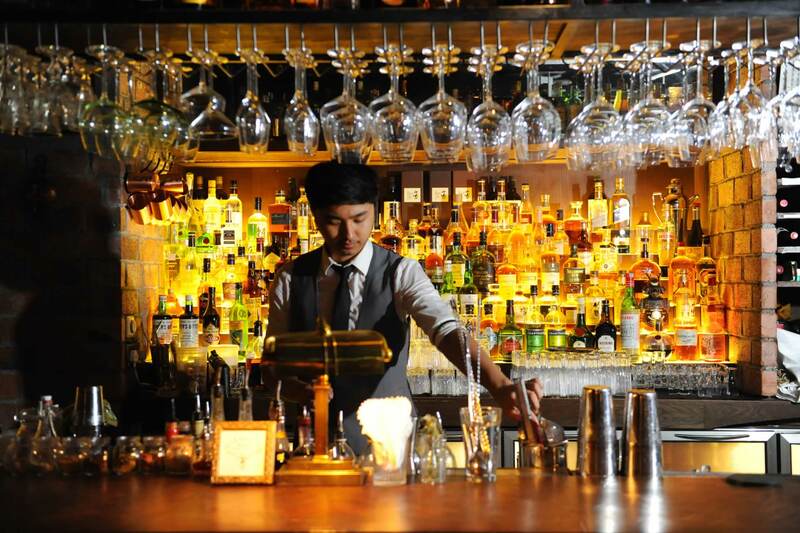 Access to our network of Whisky personalities, Mixologists, Scottish Brand Ambassadors, Bar Consultants and Suppliers. Stocking Blended and Grain Whisky from Scotland. Copyright © 2015 - 2019 Whisky Ambassador HK | Organized by Cru Media Ltd.